I have a love hate relationship with summer. I love that we get to enjoy some much needed down time with no school or other obligations. However, I could do without the excessive heat and humidity and what it does to my hair and makeup. I get my hair perfectly straightened and looking good before I leave the house. Before I reach the end of the patio outside, I look like a poodle. My makeup just slides off my face. I used to not even bother, but I like wearing makeup. I have oily skin and oily eyelids, so add in some humidity and sweat, and it's just not pretty. 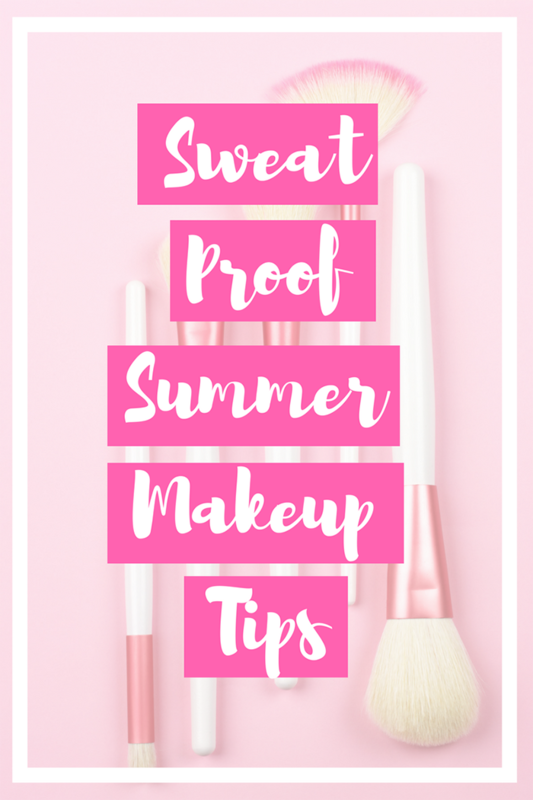 Luckily, I learned some summer makeup tips for sweat proof makeup. I don't do all of these every day, so don't feel like you need to either. 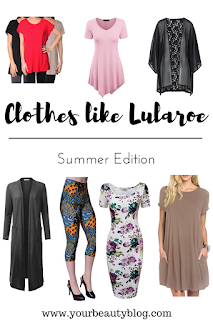 Just pick a few that you think will work for you and your makeup routine and go from there. If all else fails, just take some Olay Daily Facials and your makeup bag to reapply. I can not go through summer without arrowroot powder. The only way I can get my makeup to have any chance of staying is by priming, dusting with arrowroot powder, and then using foundation. I also use it as a finishing powder. If arrowroot powder is too light for you, add a little bit of loose powder to darken it. It goes on mostly transparent, so you don't need to get it really dark to look good. I skip the lipstick for daily use in the summer and use a lip balm instead. I like to use my easy lip gloss recipe for a little bit of color. If I'm going to be in the sun most of the day, I use a lip balm with SPF. I really like the Banana Boat Sport with SPF 50 to protect my lips. The UV rays from the sun don't just harm your skin; they can also damage your hair. I've been using L'Oreal Paris Hair Care Hair Expertise Everpure Repair and Defend Shampoo, Conditioner, and Leave In Treatment. This system is designed for color treated hair, which I have. It helps repair damage and prevent future damage by protecting your hair, including from UV rays. In the summer, I don't wear foundation every day because it's just too hot. I like to switch to a mineral powder foundation. If you've sworn off powder foundations because they settle in your find lines and pores, mineral foundation is different. It won't settle in your lines and pores. I buy mine on Etsy from a store that has gone out of business sadly, but Bare Minerals is a great brand. No matter what type of foundation you use, you'll want to use a setting powder to keep your makeup in place. 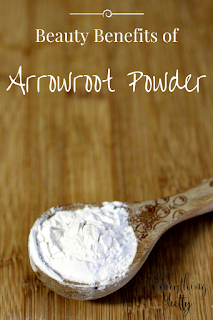 I often just use arrowroot powder. Coty AirSpun Loose Face Powder is really popular too. Regardless of which product you use, you want to dab it in your face and not sweep it for best results. I use a primer daily, but they are especially important in the summer. I love the Urban Decay Primer Potion because it works well and it comes in a few colors so it can even be used alone without any shadow. For my face, I use NYX Pore Filler. High humidity means frizzy hair. My best tip to beat frizzy hair is with an apple cider vinegar rinse. I use this rosemary and ACV rinse every time I wash my hair. Frizz Ease has been my go to since I was a teenager. I can't not stand to be sweaty until I'm working outside. Every summer, I switch to Secret Clinical Strength. I stay dry all day, no matter what the temperature is. I can only get two liners to stay during the summer. The first is Maybelline New York Eye Studio Lasting Drama Gel Eyeliner. This doesn't last all day for me, but it does last through the evening. The second is Jessie's Girl Liquid Eyeliner. This stuff has a fine point and lasts for hours. I can not go out in public without blotting papers. I keep some at home in my makeup case and in my purse for touchups. I like the Tarte Not So Slick Oil- Absorbing Papers. I use a makeup setting spray to keep my makeup in place longer. In the summer, I use it before and after I apply my makeup for better results. I really like the Skindinavia Makeup Finishing Spray.